In my previous article, I discussed how an improved design would be to have structure and feedback provided to those who take on a leadership/strategy role, however temporary. This way, they learn strategy while doing strategy. Seems simple enough, but how often is it done? If someone goes into a team management role, they reason they have done this is to assure some sort of strategy execution. Sounds pretty important! So this sounds like a design requirement – makes sure someone is good at strategy execution. In my previous articles here and here, I discussed how the annual review process reveals more about the manager than the employee. The annual review’s text may be about the employee’s performance, but what really is powerful is the subtext – the manager’s practices as a manager. Two articles ago, I cited “the debate”, which I characterized as a disagreement on the review over what happened over the course of the year. But sometimes you’ll see actual arguments spill over onto the review. The argument may be over points of fact, or points of interpretation, but if the two parties are extending their argument into written form when the annual review is written, then you know, at the minimum, that the manager is comfortable not resolving disputes, and letting them extend into a variety of forums and formats, and it probably doesn’t stop at the review. Many managers will talk about their own actions and contributions on an employee’s review. It’s one thing to talk about the team accomplishments, but when you see a manager say, “I was able to help Jim achieve an increase in sales,” or “I made a great hire in Tammy,” you can infer that the manager has more focus on him or himself than the team. Just count the number of “I’s” in the manager comments and you can get a feel for this. The annual performance review is often a treasure trove of irrelevant feedback. Many managers will cite events that are not relevant to meeting goals (what time the person comes in every morning, the length of emails, for example). Look closely at what the manager critiques and praises. Is there a connection to the team achieving the metrics, or is simply something that is generally considered bad (being late on occasion, being slow to respond on email) or good (setting up a weekly happy hour), but not necessarily directly connected to work output. There are lots of places on the form to fill out. Sometimes managers do not fill in certain areas. A common area that often goes untouched is the career development plan. Many review forms have a “looking forward” section that discusses what the employee plans to do to develop his or her career. If this section is blank – and it often is – then you know for sure that the manager isn’t engaging in this discussion with the employee. If the manager does have it filled in, and it looks robust and connected to the employee, then you know that this is something the manager is good at. But wait, there’s more! Tune in next week for more ways the review reveals more about the manager than the employee. What stories do you have? In my previous article, I discussed how the annual review process reveals more about the manager than the employee. The annual review’s text may be about the employee’s performance, but what really is powerful is the subtext – the manager’s practices as a manager. In the second example, the manager appears to know what Tiffany did. In the first example, it is not clear whether the manager even knows who Joe is, and what he does. One of the tasks of a manager is to facilitate an ever improving team atmosphere and capability. Or, at the minimum, get it to an acceptable level and keep it there. But what if you never see any language that expresses any effort to improve the team or its members? Something like, “At the beginning of the year, Andy and I discussed improving his follow-through on resolving quality issues in his work. We worked together to identify how we can improve in this area, and during the year, Andy had many fewer issues in this area. In fact, Andy is now a team champion on how to assure our team’s work output is both timely and with quality.” This indicates a drive for improvement. Instead we often see the flat, “Andy has quality issues.” In this case, we quickly learn that the manager sees no responsibility in improving Andy’s quality issues. This indicates a quality issue of the manager. If the manager writes something that is not connected to the goals and does not reveal her opinion as to whether or not the employee met the goals, we learn that the manager didn’t take the goals seriously in the first place, or doesn’t know whether they were met. Sticking to the topic of goals, one exercise is to compare the goals across the manager’s team members, which are usually documented on the annual review. Are they the same? Do they appear to lead to a team strategy? Or do they appear written independently by the individual members of the team? One team member may have tons of goals, and another may have hardly any. Are one set of goals very crisp and another set of goals unformed and vague? That can happen if the manager is not taking the goal-writing process seriously, and has not provided input. 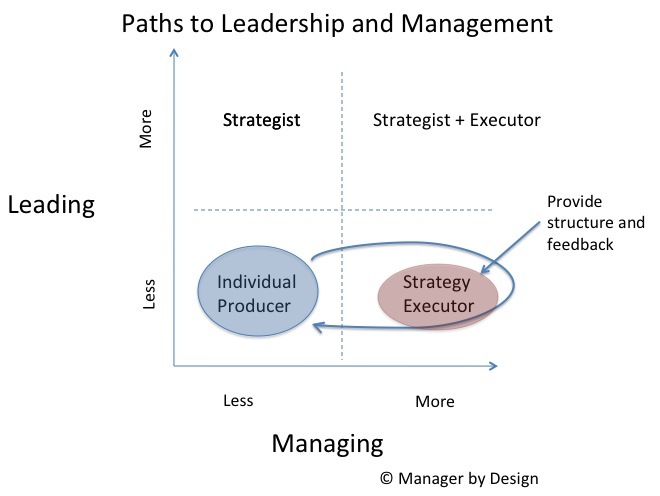 The manager is ostensibly a leader of a team, not a series of individuals. However, the annual review typically has very little commentary about how team members helped one another. If the manager does not have discussions somewhere in the review (goals, what the team achieved vs. what the individual achieved) that identify the quality of teamwork, then we know that this is not a priority of the manager. Is this the kind of management practices we are looking for? My next article will discuss even more examples of when a manager reveals more about herself on the employee’s performance review. Do you have examples of when the review says more about the manager than the employee? Send them my way! I have written in the past about “the annual toxic performance review.” The basic point is that this is the only time many managers provide insights – the view – on how the employee is performing, is during the re-view. The view in to the employee’s performance is often during the re-view. Kind of ironic. Another ironic situation is that the employee’s annual review usually reveals more about the manager’s performance than the employee’s performance. Yes, the review covers all sorts of aspects of the employee’s performance, usually both from the employee’s perspective and the manager’s perspective. That’s the text. But the subtext of any employee performance review is how well that manager managed the employee during the review period. And looking at a manager’s reviews from this perspective will quickly reveal lots about how that manager manages. Many times you will see a debate emerge about the employee’s performance via the employee’s self evaluation and the manager’s comments. If there is disagreement, this reveals that the manager has not discussed the employee’s performance openly with the employee during the year, and has instead waited until the performance review to share his thoughts. The employee, perhaps anticipating this debate, will submit multiple pieces of evidence (metrics, stories, customer quotes) to pre-empt the anticipated contrarian position of the manager. It’s interesting to see if the manager’s comments actually address these pieces of evidence, or ignore them and make generalizations about the employee’s performance. Many times you will see a manager finally take that step and provide feedback to an employee via the review. “Jim needs to be more accountable.” “Alex needs to manage meetings better.” “Alyssa has quality issues that have hurt the team.” “Patrick needs to connect with his peers more.” (Note: As these are generalizations, they are poor examples of performance feedback, but nonetheless examples of performance feedback likely to be found on the review.) If the manager gives this feedback and does not reference a conversation to this effect in the review (i.e., “We discussed how Patrick can engage with his peers”), then the manager has simply waited until after the review period to give performance feedback. As discussed many times in this blog, this is the most un-artful way to manage and to provide performance feedback, as it is neither specific nor immediate. Yet so many managers do it today, it has become almost a norm. Should you see this on your organizations’ annual performance reviews, expect there to be contempt for the managers in your org. Many annual review forms have an employee self-evaluation section, and then a manager comment section. Managers often give instructions to their employees to “keep it short.” That is – don’t write much about your performance. This reveals much about the manager – a) The manager does not want to hear about good work being done by the employee, and wants to deny that opportunity of expression b) The manager is trying to limit discussion of and knowledge of what the employee accomplished c) Apparently doesn’t want to read more than a page of text and; d) Wants to give negative feedback during the review (see point 2 above), but fears that the employee may submit evidence that this negative feedback is incorrect, so the best mitigation strategy by the manager is to cut off discussion. Often there will be more debate – in the review form itself, prior to the discussion, and during the discussion – about the amount of text an employee can enter in the review form than there is a discussion about the employees performance. Crazy. What are examples you have of managers revealing more about their performance on the annual review? Send them to me! In my next article, I’ll provide more examples of how the annual review reveals more about the manager than the employee. The Manager by Designsm blog discusses performance feedback a lot. That’s because it is an art that is practiced either in a limited manner, or poorly. At the same time, performance feedback is a significant driver to improved performance of people on your team, perhaps the most significant driver. If you imagine the alternative – no performance feedback – you will have a situation where whatever level of performance you are at will either stay the same or get worse. Similarly, the professions that seem to be the most visible and most public seem to get the most performance feedback. Some of it is requested, and some of it is unsolicited, but in all cases, if the profession is important enough, the performance feedback comes in frequently, specifically, and immediately. As a proxy for direct observations: Peer feedback is so seductive because it sounds like something that can replace what a manager is supposed to be doing as a manager. One job of the manager is to provide feedback on job performance and coach the employee to better performance. However, with peer feedback from surveys, you get this proxy for that job expectation: The peers do it via peer feedback. Even better, it is usually performed by the Human Resources department, which sends out the survey, compiles it, and gives it to the manager. Now all the manager has to do is provide that feedback to the employee. See, the manager has given feedback to the employee on job performance. Done! Never mind that this feedback doesn’t qualify as performance feedback, may-or-may not be job related, or may-or-may not be accurate. The incident that sticks and replicates: Let’s say in August an employee, Jacqueline, was out on vacation for three weeks. During that time, a request from the team Admin came out to provide the asset number of the computer, but Jacqueline didn’t reply to this. And worse, Jacqueline didn’t reply to it after returning from vacation, figuring that the admin would have followed up on the gaps that remained on the asset list. Then it comes back a year later on Jacqueline’s peer feedback that the she is unresponsive, difficult to get a hold of and doesn’t follow procedures. This came from the trusted Admin source! In a previous post, I identified peer feedback from 360 degree surveys as a source of inputs where a manager gets information about an employee’s performance. Peer feedback via 360 degree surveys has become increasingly popular as a way of identifying the better performers from the lesser performers. After all, teams should identify people who get great peer feedback, and do something about the team members who get poor peer feedback. The better the peer feedback, the better the employee, right? Well, maybe. Maybe not. Let’s talk about how peer feedback should be used, and not misused. First of all, by definition, peer feedback on surveys is, from the manager’s perspective, indirect reporting of an employee’s performance. The peer gives the feedback via some intermediary source (survey, email request, or, if requested, verbal discussion), and then that information gets interpreted as to what it means by the manager, or perhaps even some third party algorithm. Let’s see how peer feedback stands up! Specificity: Peer feedback on surveys comes in the form of a summary of behaviors over an aggregate period of time. Sample peer feedback will say something like, “John is always on top of everything, which I enjoy,” or “John needs to stop checking messages during the team meeting.” Now here’s the rub: This looks like general feedback, but it may be (you don’t know for sure) related to one incident. The “on top of everything” may refer to arranging a co-worker’s birthday party. The “check messages during a meeting” may have happened during the one meeting when his daughter was undergoing surgery. Or it could be something that John always does. You don’t know. It’s general or it’s specific. You don’t know. Or. . .have you ever seen this kind of peer feedback? This kind of peer feedback doesn’t happen on surveys. Instead, you get summaries of behaviors that may be based on a specific incident. . . or not. It may be work-related, or not. You don’t really know. If you get some sort of “feedback” about your employee, at least try to get information about what it is that the employee did to earn the feedback. I’m a big advocate for managers to give performance feedback to their employees. But the performance feedback has to be of good quality. So let’s remove the sources of bad quality performance feedback. One of these is what I call “indirect sources” of information. These include customer feedback, feedback from your boss about your employee, the employee’s feedback. These are all sources of information about your employee – and provide useful information, but they are not sources of performance feedback. In previous articles, further outlined what counts as direct source of information about an employee’s performance (here, here, and here). And in my prior article, I describe how indirect sources are, by definition, vague, time-delayed, and colored by value judgments, making them feedback sources that inherently produce bad performance feedback when delivered to the employee. There are more reasons a manager should hesitate using indirect sources of info as “feedback.” Let’s go through them. Let’s say your boss tells you that one of your employees, Carl, did a “bad job during a meeting.” The natural tendency is to give feedback to Carl about his performance, using the boss’s input. When sharing feedback from this indirect source, you will need to go through a prolonged phase of getting the facts straight. First you have to figure out the context (what was the meeting about? ), then you have to figure out what the employee did, usually relying on some combination of what the feedback provider (not you) observed, which, is typically not given well, and what the employee says he did. This usually takes a long time, and by the time you’ve done this, you still aren’t sure as to what the actual behaviors were, but an approximation of the behaviors from several sources. So the confidence in feedback of what to do differently will be muted and less sure.